FOXBURG, Pa. (EYT) – What do you call a musical gumbo that recalls the ancestral strut and joie de vivre of the New Orleans’ Tremé, the drama and ecstasy of the church’s wailing floor, and the suited-up sophistication of jazz threaded with the party funk of Parliament? What do you name sounds that hail from Africa, Brazil, the Caribbean, and the red dirt South all at once? How do you label music that simultaneously evokes all of the uncontainable energies and passions exploding from so many disparate musical legacies? It’s called Water Seed – and Water Seed comes to the beautiful Allegheny River Valley and scenic RiverStone Farm in Foxburg on Saturday, August 1 at 5:00 PM. 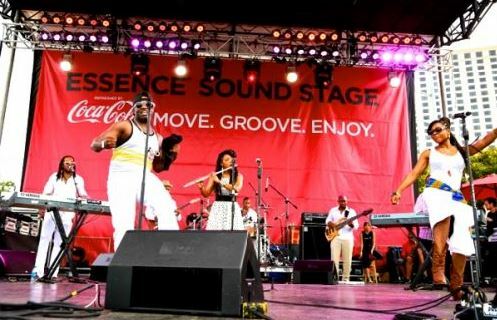 Water Seed performs in venues and festivals from coast to coast and has appeared at the venerable Blue Note and the Apollo Theatre in New York City. These nationally acclaimed recording artists and rhythm and groove band will appear at RiverStone in an outdoor performance emceed by Mike Canton, host of Pittsburgh radio station WYEP’s popular THE SOUL SHOW. Mike has been its host for nine years. The mission of The Soul Show is to present “soul music from the legendary to the newest artists… and to account for the cross-pollination of this important American genre, with smatterings of jazz, blues, rock and reggae in a “spiceful” way.” No wonder Mike is a fan of Water Seed – with its classically trained musicians who bring together a hybrid sound of rhythm and groove with elegant jazz flourishes and lyrical songs that wail and strut and jive. On Saturday, August 1 plan to bring your family and car loads of friends to scenic RiverStone Farm near Foxburg, PA for a concert by this sophisticated and funky rhythm and groove band. Bring lawn chairs, blankets, a picnic basket – AND your dancing shoes. The concert is rain or shine. In the event of rain, the concert will be moved into the Olympic sized horse arena in the H-Barns at RiverStone Farm. Tickets are Adults $15, Students $5 and Children under 6 Free. Buy online at www.alleghenyriverstone.org or to reserve call 724-659-3153.